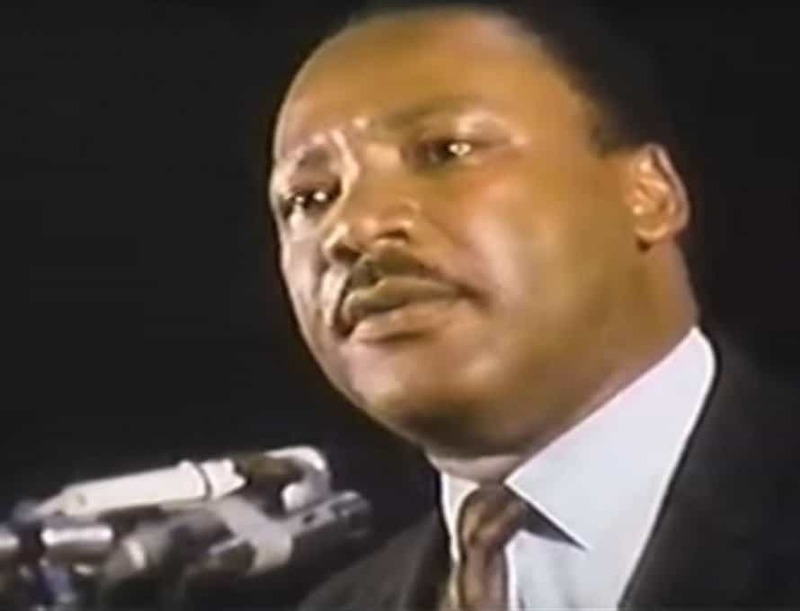 Martin Luther King Jr. delivers what is now known as his "I've Been to the Mountaintop" speech the night before he was assassinated in 1968 in Memphis. Screen capture from YouTube. MEMPHIS – More than $1.5 million dollars have been raised for the “MLK50 Dream Forward Scholarship Initiative” that will allow Christian colleges and seminaries to invest in the educational future of minority students. Two schools with Missouri Baptist ties – Hannibal-LaGrange University and Midwestern Baptist Theological Seminary – are participating in the scholarship initiative. Through this scholarship initiative, a broad range of financial aid resources will be given to selected minority students from Memphis who demonstrate a heart for Christ and a potential for academic excellence while meeting basic admission requirements. The scholarship was announced, April 4, by leaders of the MLK50: Gospel Reflections from the Mountaintop, an event co-sponsored in Memphis by the Southern Baptist Convention’s Ethics and Religious Liberty Commission (ERLC) and The Gospel Coalition (TGC). The two-day event commemorated civil rights leader Martin Luther King Jr. on the 50th anniversary of his assassination. “50 years after Dr. King’s murder, this event was a check-up for people who love Jesus,” Jonathan Whitehead, a member of Abundant Life Baptist Church, Lee’s Summit, and ERLC trustee, told The Pathway. “If Jesus is reconciling the nations to Himself, this milestone was a time to ask how our churches are reflecting our commission – and how we can do better. Full details about the scholarship program are available by visiting mlk50conference.com.